Lethbridge Weavers Guild: We are a vendor at Christmas at CASA! We are a vendor at Christmas at CASA! 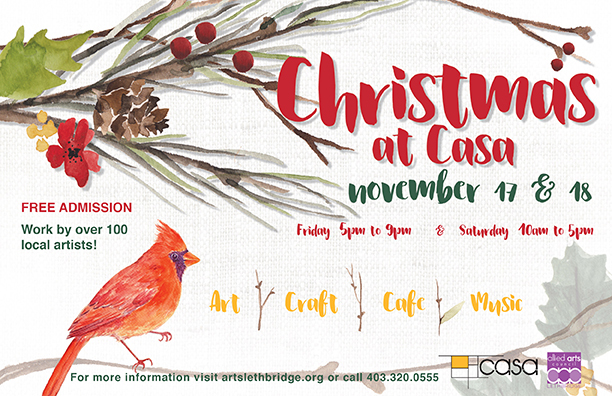 Come visit us upstairs in the Weaving Studio at CASA November 17 & 18! We have been busy weaving and are excited to offer our textiles for purchase; including scarves, blankets, mug rugs, dish cloths, table cloths and, of course, our tea towels! They say that once you try a handwoven tea towel you never go back, so come and try for yourself. We look forward to seeing you!